Some of us wash our bras daily, some weekly. But many of us wash our bras a lot less frequently. We wash our underwear and socks after every use, so why is the standard different when it comes to bras? The reasons are pretty clear. We own fewer bras than we do socks and underwear, so we can’t always afford to take them out of rotation for days in the laundry bin. Bra washing is also downright confusing! The care instructions on the tag are vague, and sending to a dry cleaner is pricey. So what happens? We shove our bras into the laundry bin. That’s right, we treat our 50 dollar-plus bras the same as we do our five dollar gym socks. Unlike the socks, our bras can’t withstand the turbulent ride through the washing machine unscathed. Throwing your bra into the washer can be akin to flushing money down the toilet. Check out our Bra Washing Guide. We’ll explain how you can machine wash your bras without rinsing their value down the drain, and if you’re brave, wash them by hand for ideal results. The recommendation is that you wash your bra after every use. It might seem like a lot, but your bra gets a lot of wear! 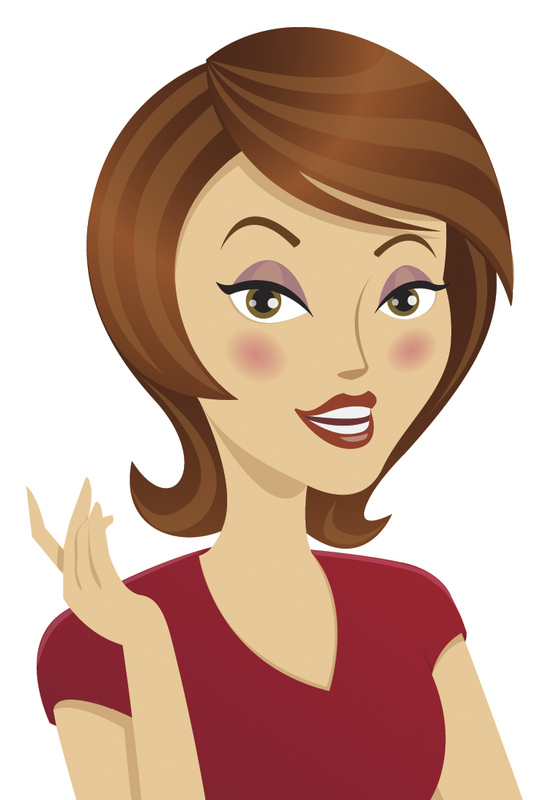 Lotions, perfumes and body oils rub off on your bra, and the straps get stretched out. Washing after each use renews your bra and will most certainly extend its life. However it is up to you to do what works best for you and your lifestyle. If you’ve been particularly active, you might want to consider washing your bra after one wear. But if you feel intimidated and exhausted at the prospect of daily washing, it is okay to extend your wear time to a few days. Just don’t go weeks without washing. Rule #1: Clip the back of your bra. This prevents excessive twisting that can damage the underwire. Rule #2: Place your bra in bag specially designed for washing delicates–a garment bag or bra cube. This will protect from twisting, warping, and getting caught on other laundry items. Rule #3: Never bleach your bra. Bleach will cause major damage to the fabric. Remember that the standard rule of separating lights from darks applies, too. Rule #4: Never put your bra in the dryer! This is a big no-no. The underwire can pop out, the fabric will shrink and ruin the fit–it’ll just be a mess for you and your bra. Hand washing is not as difficult as it seems. In fact, the entire process of hand washing your bras doesn’t take any longer than a typical wash/dry cycle, plus it is earth-friendly. Follow these steps, and you’ll see there’s really nothing to be afraid of. Step 1: Fill a sink, tub, or even large bowl with lukewarm water and lingerie fabric wash. (Never heard of fabric wash? Check out Forever New, a Lady Grace staple.) Suds it up, then place your bra in. Step 2: Knead the bra with your hands so the soap seeps into the fabric. Do not wring/twist the bra! From here, just let it soak for several minutes. 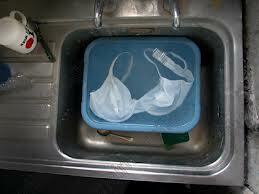 Step 3: Drain your bra of the soapy water, filling it again with clean water. Knead your bra again. Continue these steps until there is no longer any suds in the water that drains from the bra. Step 4: Place your bra on a drying rack or on a flat dry surface (a towel underneath is suggested). Let dry for several hours and–voila! Your bra is clean, and is not a smidge worse for the wear. This entry was tagged Bra, clean, dryer, hand wash, soap, washer. Bookmark the permalink.